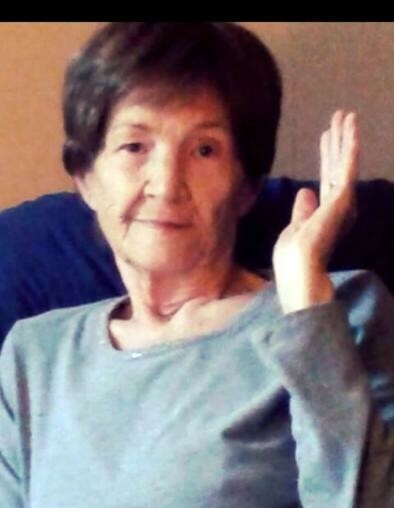 Margie Helen Newman 76 of Crossville, passed away Friday November 30, 2018 at Wabash Christian Village in Carmi. She was born September 14, 1942 in Livingston, TN, the daughter of Oscar and Ethel (Shumake) Flowers. Margie is survived by her sons, Rick and Larry Myers; grandchildren, Dustin Myers, Colton Shelow and Dana Bretz. She is also survived by nieces and nephews. She was preceded in death by her brothers, Shirley “Buster” Flowers, Alton Flowers and Keneth Flowers, and her sister, Ina Jean Spicer. She had worked as a bridge attendant for the New Harmony Bridge and had managed the American Legion in Grayville for many years. Margie was an avid card player and always the “Life of the Party”. She enjoyed Bingo, flowers and gardening and attended Faith Tabernacle Church in Carmi. She dearly loved her family and friends.